Dennis M. Slate is one of only 16 attorneys in Texas to ever be certified in both Child Welfare Law and Family Law. 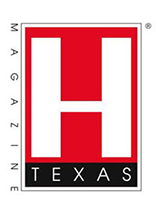 He was also selected as a Super Lawyer® and has been listed as a Top Family Lawyer in Houston. Hear what else our clients have said about working with the dedicated legal team at Slate & Associates, Attorneys at Law. Attorney Slate retired from the US Army after 25 years of service. He is proud to serve members of the military & civilians in divorce and family law cases. 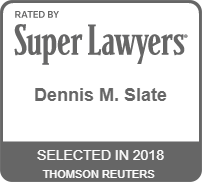 Slate & Associates, Attorneys at Law has been named as one of the top family law firms in the area by Houstonia Magazine, and our attorneys are consistently recognized as some of the best in their field by premier organizations like Super Lawyers and Avvo. If you want the professional level of representation you expect from a big, expensive downtown law firm, we invite you to get in touch with our team to discuss your case and concerns. Disciplined and dedicated, we are extremely focused on pursuing the objectives of our clients in the most effective way possible. Our firm offers services in a wide range of family law matters, including post-decree modifications, prenuptial agreements, parental rights, paternity cases, as well as cases of grandparents' rights and parental alienation. No matter what legal matter you need to resolve, we have the experience and deep insight into how the courts come to a decision. We craft our cases carefully so that there is a better chance of a positive result. In a divorce, it could not be more important that you have top quality legal representation. The division of the marital assets is a matter of great concern, and when it comes down to "who gets what," you can be confident in our ability to press forward and negotiate fair terms in a settlement agreement, or to present a case to the court that is persuasive, well-crafted and more likely to get a positive outcome. Several of our lawyers are classified as "specialists" in the field of family law by the Texas Board of Legal Specialization. 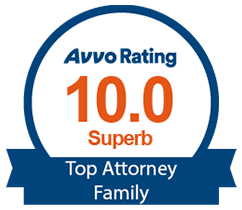 They are Board-Certified family lawyers with relevant experience and ability in that field of law. This certification only belongs to around 7,000 of the 70,000 lawyers in the state of Texas. It is a voluntary process that requires numerous qualifications to be met, including having been licensed for at least five years and having passed a lengthy examination. Not only are we passionate about helping our clients in Pearland, but we are also extremely qualified to handle their cases with care and success. Family law matters can be the most emotionally difficult and administratively complex legal conflicts. It is important to equip yourself with an able representative who can advocate for your interests with a clear, determined and comprehensive understanding of the law. In divorce, your financial stability and the critical issues of property division, custody and support are all on the table. 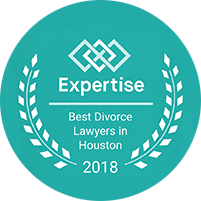 The skills and legal ability of your Pearland divorce lawyer are the most significant factors in the outcome of the final settlement or decision in court. Our entire team is prepared to serve you with the highest level of care, compassion and professionalism. Call today to set up a confidential consultation. Send us an email to get in touch with our legal team. We would love to hear about your case. If you are in need of legal assistance, get in touch with our firm today to tell us about your case.